I’ll admit, when I found out that “Emerald Archer” was the 150th episode, I was shocked! It felt like the 100th episode (which was ironically set during the “Invasion” storyline) wasn’t that long ago. Then, I found out that the episode would be a “documentary” of sorts and I was even more shocked. But dear gosh, it worked, and it worked well. You can tell that the cast and crew had fun doing this. And having it open with Quentin Lance was perfect, and it was just the beginning of many cameos in this epic episode. Seeing the past and present collide in this insightful look into how and why vigilantes came to Star City and why they believe that they do what they do for the greater good was compelling. And there was more than just “looking back” shots, there were emotional looks at where everyone has come from, and where they are going. The Diggle shot of him from Season 1 about how Oliver is no hero, and then present day John going, “Well, that hasn’t aged well” is a perfect example of how the documentary was used to show growth in the simplest of ways. And then, you have Rene talking about how politicians don’t care about the people of the city, setting up the flash forward where he’s the mayor of the Glades. But of course, what’s a documentary without conflict? There was an armored anti-vigilante vigilante going around, and he was collecting trophies from everyone. Including Rory (Ragman) and Helena (Huntress), even more callbacks to the first 6 seasons. Granted, the reveal that he was just a fanboy that was obsessed with vigilantes was weird (and as the preview showed, not the REAL anti-vigilante that’s coming for them soon), but it was enough to get the real point across: that Team Arrow needed to come back. I’ve already seen some wariness for this, and I agree that it should be done carefully. But it was pretty cool seeing everyone work together again to take this guy done. 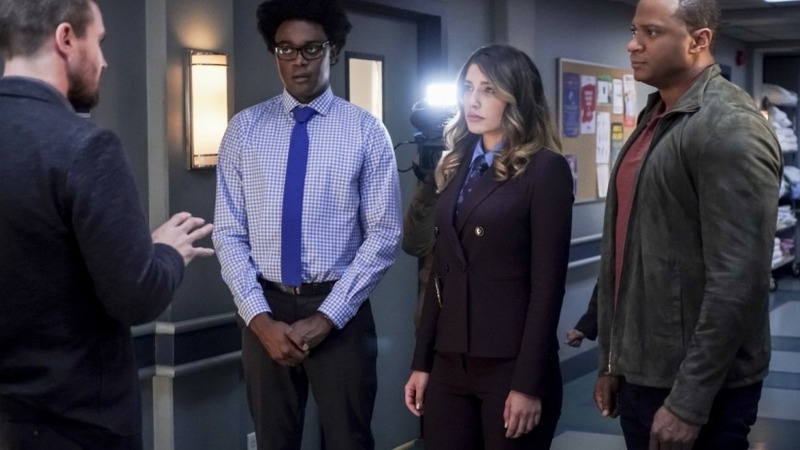 Even having Dinah expose herself to the mayor and Felicity from ARGUS helping out as Overwatch. There was just something inherently fun about the episode, and sometimes Arrow forgets to have fun. 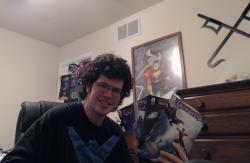 I’m curious to see where things go from here, especially with William back, and apparently expelled. And the Flash Forwards revealing not only the return of Connor Hawke (who if you recall is John Diggle Jr.) but also that “Maya”, aka “Blackstar” is actually Mia Dearden. Who is Speedy in the comics. And her talk about how the vigilantes “doomed Star City” and that they “got what they deserved” is a haunting reminder that we know things end badly. Still, with a fun documentary angle (Narrated by Kelsey Grammar!!! 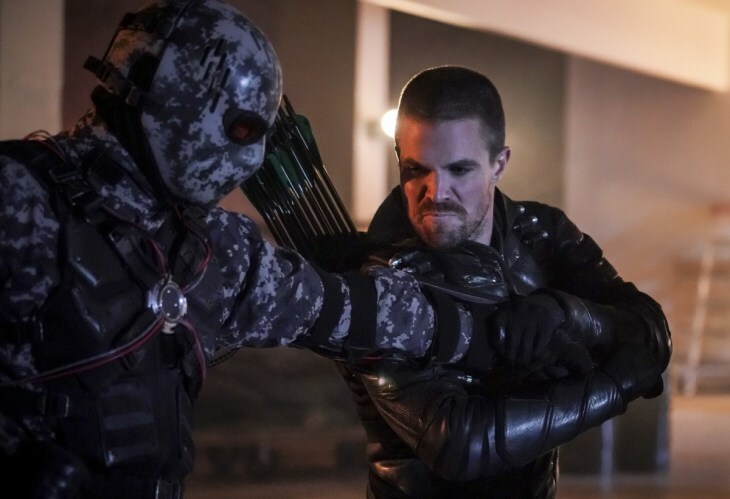 ), and a solid plotline to mesh with it, “Emerald Archer” stands as one of the best Arrow episodes of the season, and the series.